If you haven’t heard of Disney’s Frozen, then let me be the first to welcome you back to civilization. Frozen is over a one billion dollar grossing animated film that came out a year ago and is quoted as one of Disney’s top 5 franchises by Disney CEO Bob Iger. So logically, Disney-owned ABC studios would make a Frozen crossover storyline in their popular show Once Upon a Time. 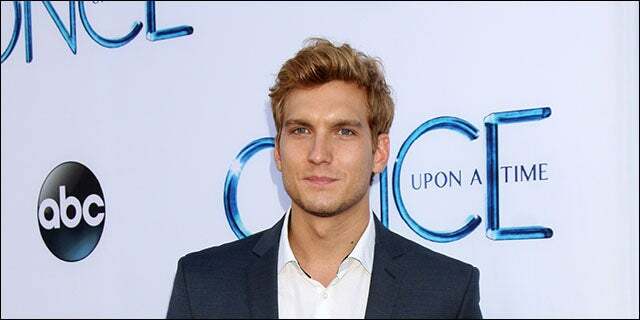 But, what does come as a surprise is that Scott Michael Foster, aka Kristoff, is the son of a leader in the entrepreneurial & tech community, IBM’s Mike Foster. Scott Michael Foster is not only a talented actor (Greek, Californication, Chasing Life), but also a humble person whose life experiences parallel an entrepreneur’s. After touring the IBM Innovation Center and briefly chatting with both Scott and Mike, here are three lessons I received from Kristoff – err… I mean, Scott Michael Foster. From the moment Foster moved out to California he has been busy working. This doesn’t mean he’s just been acting the entire time. When there was down time between his gigs, Scott made sure to broaden his horizons and learn new roles in the entertainment industry, such as script writing or singing. Often times we get tunnel vision in our entrepreneurial endeavor. It’s important to diversify our skill set, both in our company and in our industry because it’s a competitive landscape. There are at least 19,000 new companies created each year in DFW alone. By learning different roles in our company, we’re able to pick up the slack when needed, thus saving money by not having to outsource. And, we also develop a better eye for hiring talent since we now know what it takes to fill the role. On top of that, we open ourselves up to other opportunities. What if our startup fails? Well, we can now go join or start another one because we learned ______ skill in our last startup. Always be a constant learner. In the end, it benefits us more than we know. O.K., this one’s a bit of a stretch. Foster never said, “Let it go”. But, in my imagination he did. So, we’ll go with that. One thing Foster (the son not the father), said that struck a chord with me was that he does not regret a role he’s played. After almost a decade in show business, and having blossomed into mature adulthood in front of the camera, he is comfortable with all the roles he’s been in. Looking back, how many of us can say that about our careers? I’m not even comfortable with some of the outfits I wore to work last month, much less my career choices over the past decade. If Scott had to do it over again, he would choose the same roles. That’s not to say that there haven’t been roles that he wanted and didn’t get, but it’s a bold statement to proclaim that you’re comfortable with all your career choices. Entrepreneurs have a funny way of dwelling on certain choices. What would have happened if I had accepted admission to that accelerator? What if I hadn’t moved from Silicon Valley? What if I had joined XYZ group in Startup Weekend? At the end of the day, we need to let it go – cue the song. Have confidence in our choices and march forward. When we’re confident in the choices we’ve made we empower ourselves to make better choices in the future. If we lack confidence, we’ll waste time and energy on something utterly useless – wondering what if. One of the most endearing things Foster said was, “If I didn’t come home at least twice a year, I would miss out on too much”. It’s obvious he adores his family – his parents, sisters and nieces/nephews – and he genuinely makes an effort to see them as much as possible. No matter what, it’s important to always come back to family. To seek their feedback (as Foster does when he asks his parents for their opinions on the scripts he’s written), and to let our family inspire us, motivate us, and (above all) humble us. Regardless of who we are or what we do, all families are the same – they are our biggest fans and often our best critics. It’s important to remember this about our family and use this resource often.